Amic Utilities™ specializes in Windows enhancement utilities, made to be intuitive and easy to use. Amic Utilities also publishes software and provides technical resources for Windows operating systems. 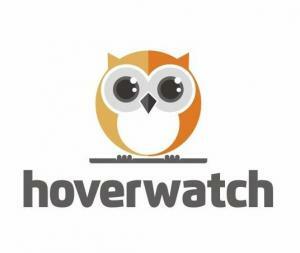 The Hoverwatch phone tracker pretty much does what its name suggests. It is a useful piece of app that can be used to track both incoming and outgoing sms even after they have been deleted from the device. This is an good software for both parents who are concerned about what their kids are doing and also for business owners who fear that their employees are abusing company phones fro their own personal use. Outlook Express Backup Genie is an easy to use software tool designed to save your emails, attachments, address books, & signatures from Outlook Express, MS Outlook and various other email clients... to a compact, compressed backup file. If a virus ever strikes your computer...or if you experience a hard drive crash, BackUp Genie will easily restore your messages & related data in no time! It's also great for moving your emails from one computer to an other! Privacy Guard is a powerful tool capable of permanently erasing any unwanted files-- including all traces of Internet History and computer activity logs on your computer. To ensure your privacy, erased files are rendered unrecoverable, as they are overwritten by special encoded patterns of data, using the latest D.O.D Technology. Even forensic agencies using expensive hardware and software cannot recover files removed by Privacy Guard! You can securely erase all of your Internet History, temporary files, browsing traces, cookies and other related files to ensure that NO ONE ELSE will ever find them! Amic Screen Capture is an easy-to-use screen software tool designed to capture images from your screen. Specifically, it can capture a full screen (including DirectX mode), objects, windows, rectangluar areas, etc; Screen Capture's features can even be accessed via hotkeys or menu commands. Captured images can be saved as BMP, GIF, or JPEG files AND you can copy them to the clipboard, or send them as email! You can visit the utilities page for a complete list of applications released by Amic Utilities. For each utility, you'll find a brief description, a link from where you can download the trial version, and also a link to our purchase/checkout page. Amic Utilities offers custom software development and web design services, for as little as $25 per hour. Our skilled professionals are well trained and work hard to create reliable software solutions for our clients. Services include programming in Delphi, Visual Basic, C++, Access, Html, Java Script, PHP, Flash, and more! For additional information, please visit the Amic Utilities services page.